This is our master piece of Cremation Urn. This urn is beautifully crafted by hand in 3D-Diamond shape by our expert artisan. 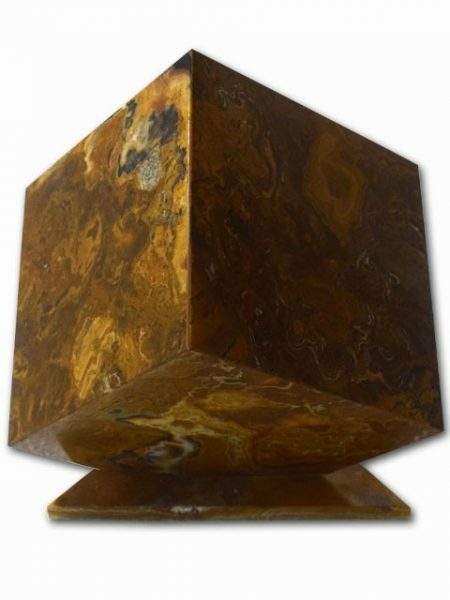 Nature has bestow the variety of Marble and Onyx to Pakistan & we extracted this unique urn in 3D-Diamond cube shape from these stones. 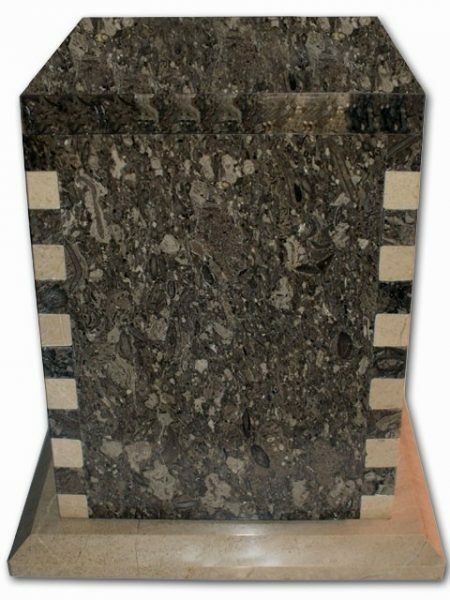 We are fully capable to make 500 color variations in this urn from 25 natural stones that are found in Pakistan. Because of the beauty and eternal durability of onyx, the urn is well suited for both indoors or can be placed outdoors in your garden to be admired for generations to come. A metal threaded lid is installed under the base of urn to fill the ashes. This 3D-Diamond Shape Cremation Urns is a unique master piece we have created so far. 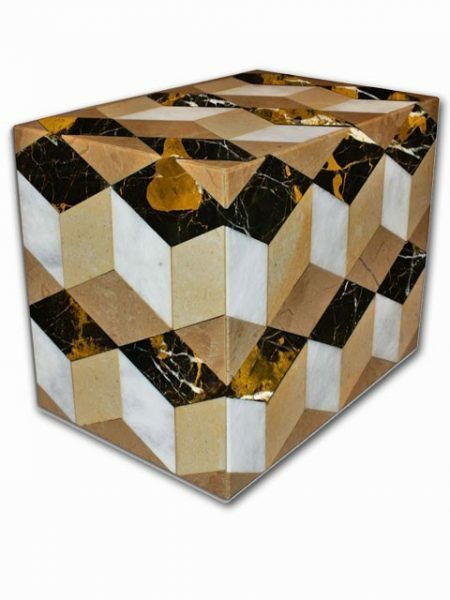 This urn is a combination of 3 colors of stones i.e Black & gold, white & botticino marbles which makes a 3D cube after joining 3 of them in a specific sequence. 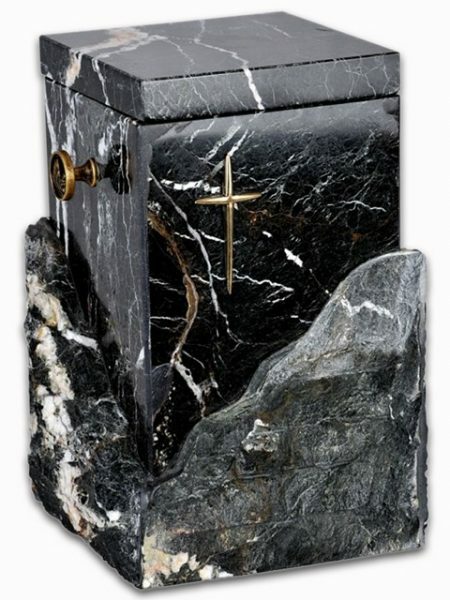 Nature has bestow the variety of Marble and because of the beauty and eternal durability of onyx & marble, the urn is well suited for both indoors or can be placed outdoors in your garden to be admired for generations to come. This urn can be produce in 100's of color variations of Pakistani marbles. A metal threaded lid installed under the base of urn to secure the ashes. This is our another master piece of Cremation Urn. 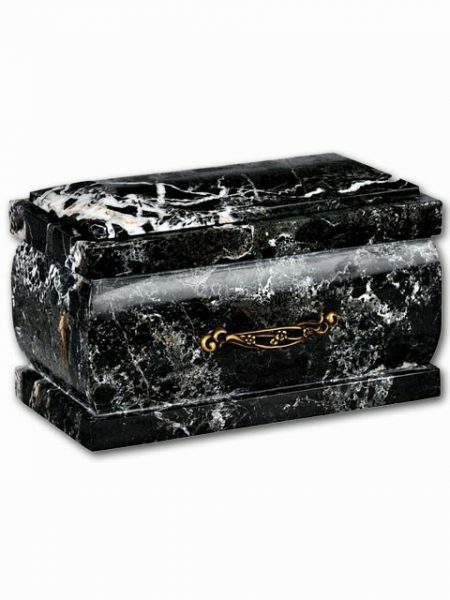 Coffin Shape Cremation Urns are most popular product around the world to store the ashes Nature has bestow the variety of Marble and Onyx to Pakistan & we extracted this unique urn in coffin shape. Because of the beauty and eternal durability of onyx, the urn is well suited for both indoors or can be placed outdoors in your garden to be admired for generations to come. Top lid opening with metal handle to secure the ashes. 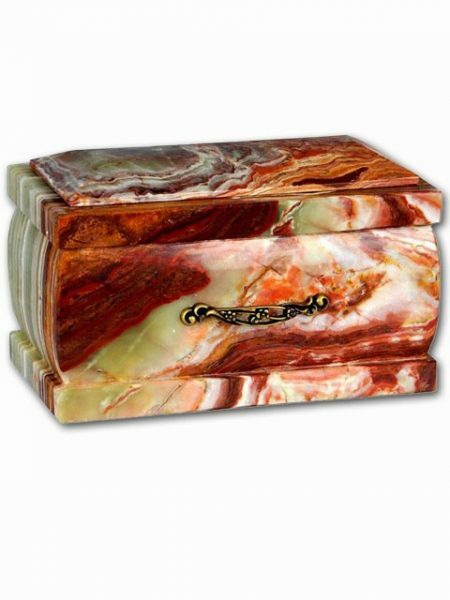 Coffin Shape Cremation Urns are most popular product around the world to store the ashes. 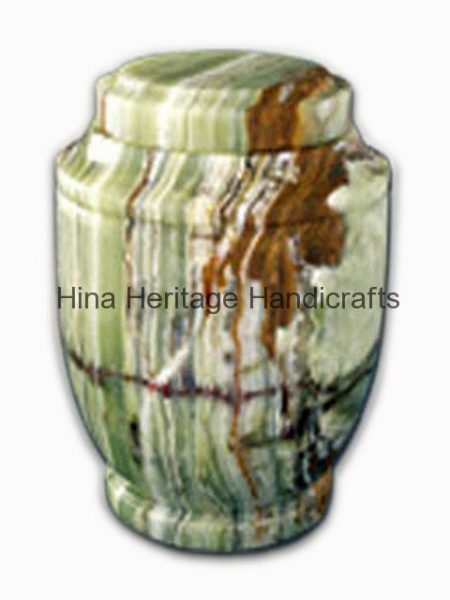 We have created this Coffin Urn in Natural Onyx, which is renowned world wide for its natural beauty & high gloss finish, Pakistani Green & White Onyx consider as semi precious stone. The multi brown veins running over it which gives it stunning look. Nature has bestow the variety of Marble and Onyx to Pakistan but the Green & White Onyx is one of the most beautiful stone that are found in Pakistan and globally this stone is very demanding & we extracted this unique urn in coffin shape from the semi precious stone. Because of the beauty and eternal durability of onyx & marble, the urn is well suited for both indoors or can be placed outdoors in your garden to be admired for generations to come. Top lid opening with metal handle to secure the ashes. 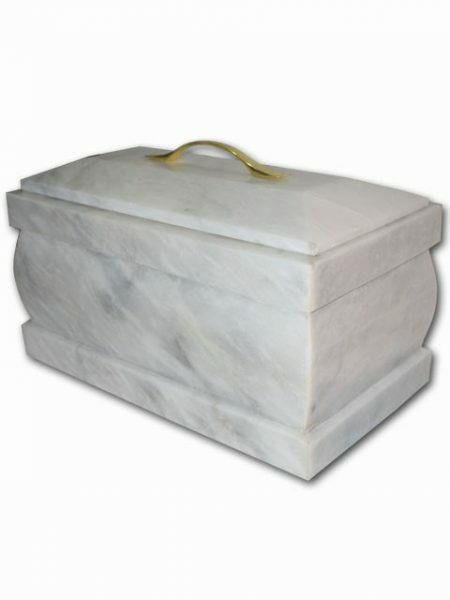 Coffin Shape Cremation Urns are most popular product around the world to store the ashes. 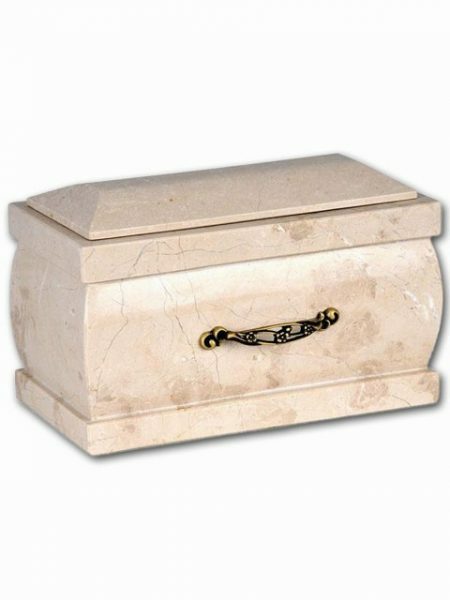 We have created this Coffin Urn in Natural Verona Beige Marble. This marble has high gloss shiny surface and medium brown veins running over it. Nature has bestow the variety of Marble and Onyx to Pakistan. Because of the beauty and eternal durability of onyx & marble, the urn is well suited for both indoors or can be placed outdoors in your garden to be admired for generations to come. Top lid opening with metal handle to secure the ashes. This is our another master piece of Cremation Urn. Finger joint is the basic theme of this urn. Nature has bestow the variety of Marble and Onyx to Pakistan & we extracted this unique urn in finger joint shape from these stones. 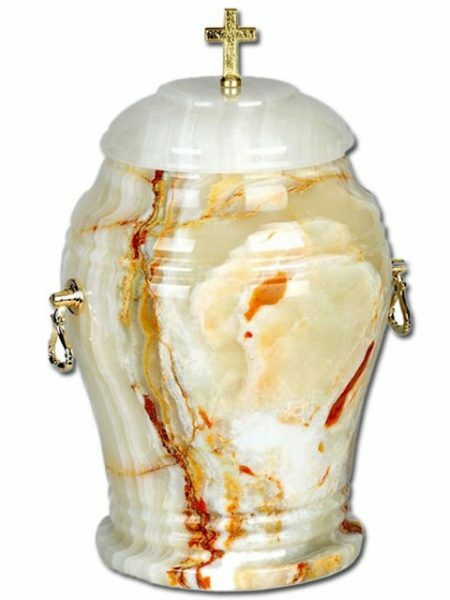 We are fully capable to make 100's of color variations in this urn from 25 natural stones that are found in Pakistan. Because of the beauty and eternal durability of onyx, the urn is well suited for both indoors or can be placed outdoors in your garden to be admired for generations to come. A metal threaded lid is installed under the base of urn to fill the ashes. 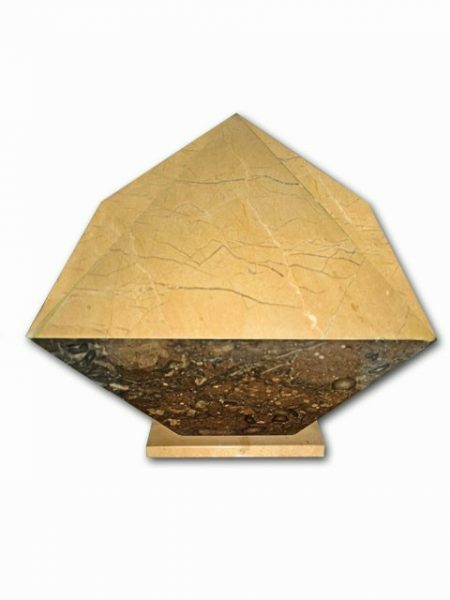 This is our latest range of segmented Pyramid Shape Cremation Urn. This urn is beautifully crafted by hand in shape of Pyramid by our expert artisan. We have designed this urn into two halves. The top pyramid is being created in Verona Beige Marble while the bottom part of the urn has been crafted in fossil marble. 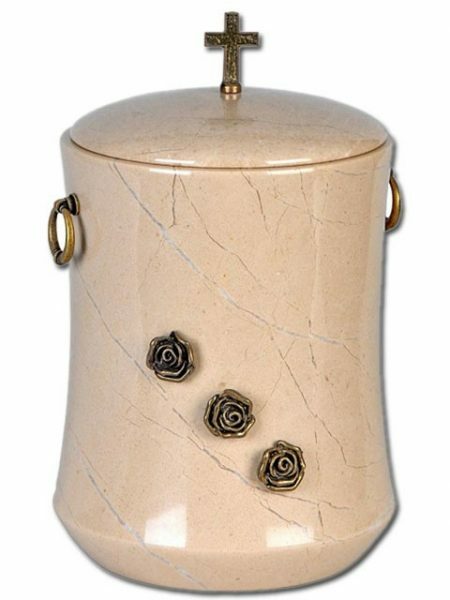 The Light & Dark combination of marble gives an elegant look to this urn. Because of the beauty and eternal durability of marble the urn is well suited for both indoors or can be placed outdoors in your garden to be admired for generations to come. A metal threaded lid is installed under the base of urn to fill the ashes. 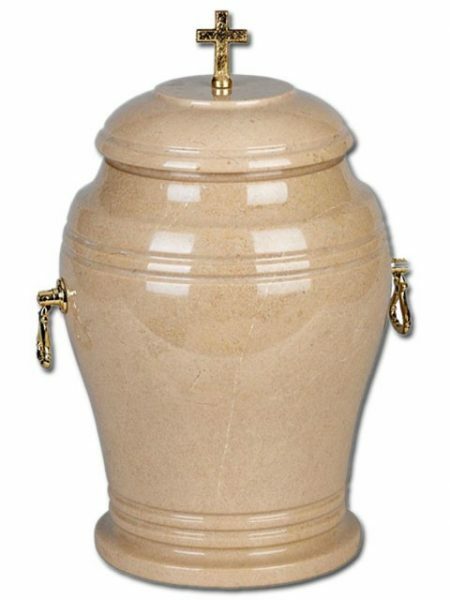 This is our newest collection of Square Shape Cremation Urn. 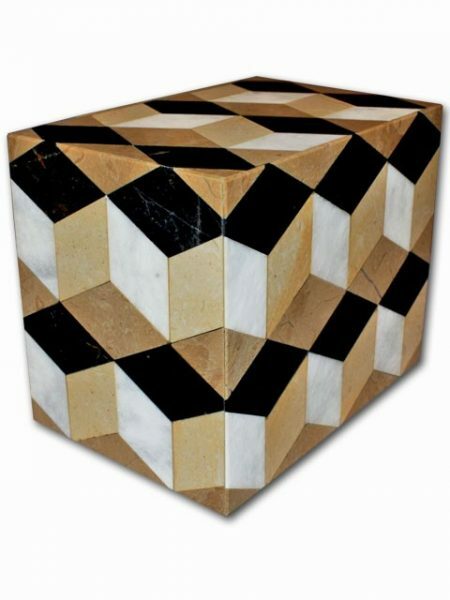 This urn is beautifully crafted by hand in shape of Square by our expert artisan. Red Onyx is the perfect match of this square shape urn. Because of the beauty and eternal durability of onyx, the urn is well suited for both indoors or can be placed outdoors in your garden to be admired for generations to come. A metal threaded lid is installed under the base of urn to fill the ashes.